1. I have a date tonight. A date with Pitfall Harry. Pitfall! was released for Atari 2600 in September 1982 -- 30 years ago this fall. In those three decades, I have never collected all 32 treasures in twenty minutes or less. One of my top summer goals is to right this wrong before Pitfall! turns 30. My quest begins tonight. 2. A replica of the Ferrari license plate from Ferris Bueller's Day Off now hangs in my basement just below my General Lee license plate. This seller on eBay is quickly becoming one of my all-time favorites. I assure you that the Back to the Future plates are next. 3. I never win anything. I don't necessarily have bad luck but I never win contests. This week, I won a contest. Shawn, at Branded in the 80s, was offering up various sets of some awesome Hot Wheels cars including two that I wanted badly -- Knight Rider's KITT and the A-Team van. If I can't win the lottery, this is the next best thing. Thanks again, Shawn! 4. Speaking of contests, I've got one going on my other blog if you're interested. 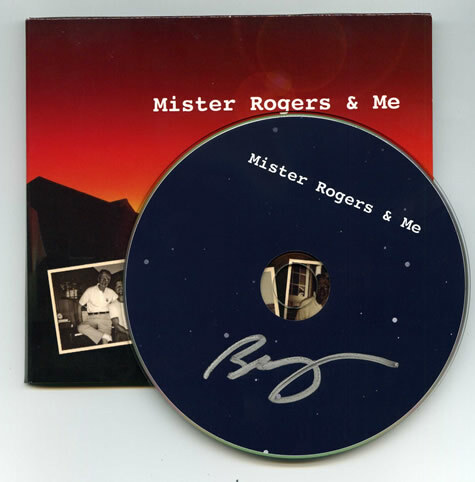 A powerful documentary called Mister Rogers & Me was recently released by friend of the Neighborhood Archive, Benjamin Wagner. The soundtrack from this film includes some of Benjamin's fantastic original music and is available for download on Amazon and iTunes. A small run of 300 CDs was produced -- one of which is up for grabs on the Neighborhood Archive (signed by Benjamin, by the way). I'm taking entries until the middle of the month. 5. Richard Dawson died this week. I honestly thought he died several years ago. 6. Twitter is a funny animal. 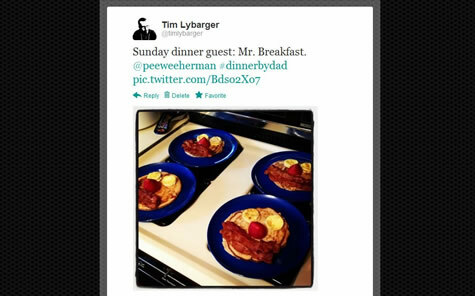 Last Sunday night, I cooked up some Mr. Breakfast for my family and shared a picture online via Twitter. 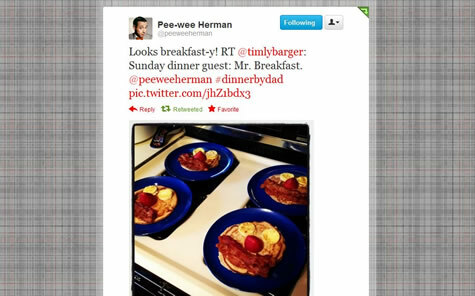 By the end of the evening, my dinner had been retweeted by Pee-Wee Herman (or at least his official account) to his 1.2 million followers. Holy crap, that license plate seller on eBay! OMG! Like I said, quickly becoming my favorite seller! That is too awesome! Too bad they don't make Mr. T. cereal anymore. "I pity the poor fool who don't eat my cereal! Heh-heh!" Jason -- You and your blog actually crossed my mind when I was making that -- knowing you're a big Pee-Wee fan.